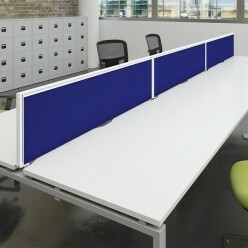 Panel end frame with tops from 0.8m to 1.6m and modesty panels. 9 MFC finishes for the tops and panel ends are available. Straight, wave, and crescent tops all with matching storage.